Latest hairstyle trending among Hollywood and Bollywood celebrities is balayage hair style. It is not a new concept, but revived recently and is gaining a lot of popularity. It is a technique of coloring hair, which looks natural as it is hand painted. It is a fresh technique to apply the dye, a free hand in the hair by using vertical strokes and without using a foil. Either you are looking for a sun-kissed appearance or candy colored hair, balayage hairstyle is a versatile choice for you. In this article, we will discuss balayage black hair styling ideas for natural black hair according to your hair length. Caramel and dark brown balayage black hair- If you have black and long hairs then this is a perfect look for you. 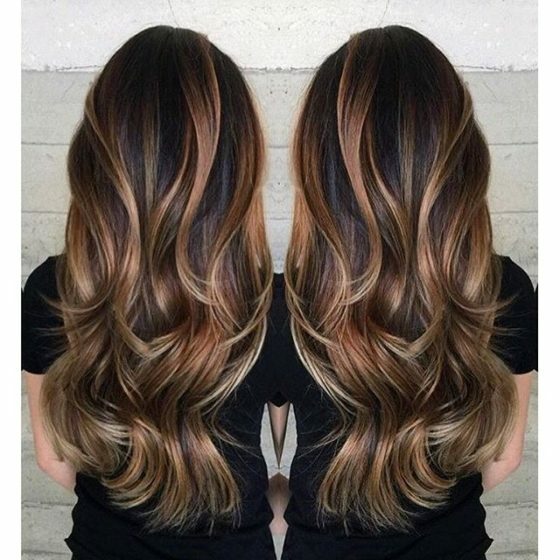 With the right touch of dark brown along with caramel highlights accentuating the layers in a perfect manner, this is a gorgeous look for you. While the hair stylist enjoys the freedom to play with your hair several possible variations of the same shade appears to enhance your beauty. 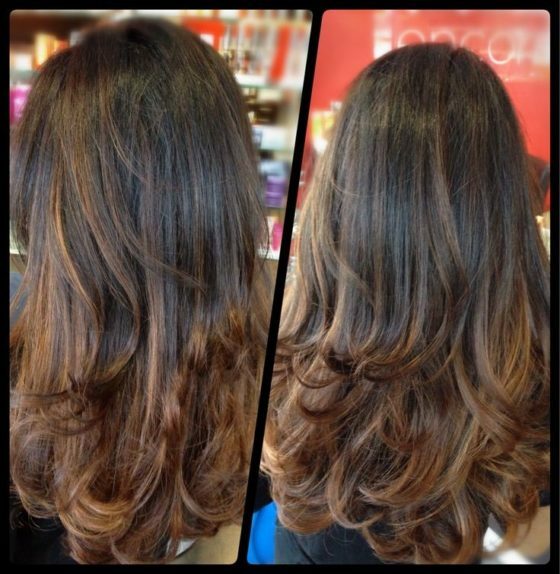 Soft caramel balayage on black hairs- If you are looking for sunkissed looks try soft caramel balayage. By using caramel color in a un-uniform pattern a natural look is given. Right from the top till the end is highlighted without coloring any of the strands completely this gives a perfect and natural finish. Dark brunette balayage black hair- If you have curls try this. It sets a perfect example of balayage black hair. It highlights the hair from the top mixing it in a subtle way with natural black hairs, along with defining the curls as it reaches down. 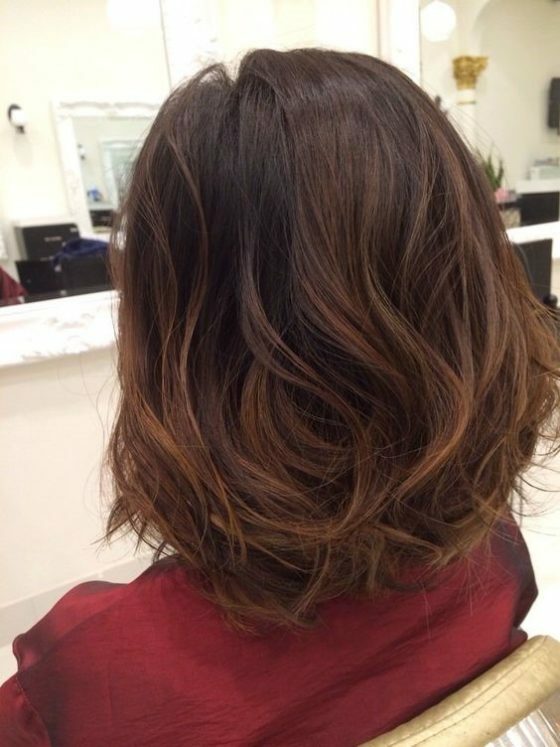 Caramel balayage for short and layered hairs– It adds definition to short hairs by highlighting caramel in the streaky pattern. This accentuates the layers of hairs. On reaching the end the shades become light. Although the contrast difference between the natural black base color and highlight is not a perfect example of a natural look but it certainly gives a gorgeous look. 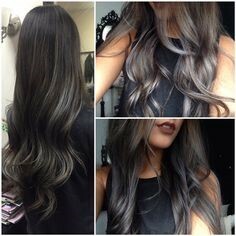 Dark gray balayage on black hair- In the case you are looking for a different hairstyle to add more drama choose Dark gray balayage. The dark gray shade is used until the end, giving the curls glossy and soft look. 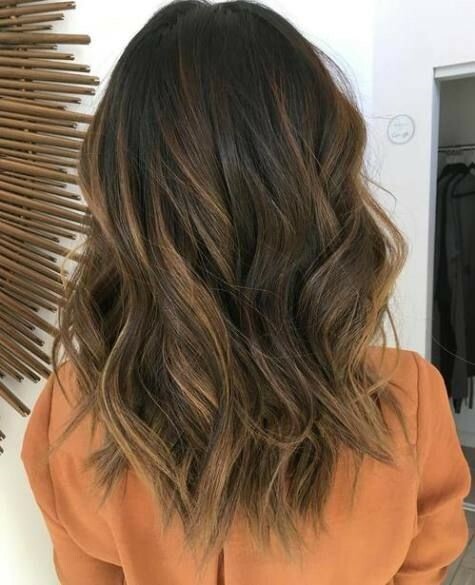 Subtle caramel balayage for short and black hairs– If you prefer keeping your hairs short then you can give new definition to them with a subtle caramel balayage which is used for a natural sunkissed look. 7. 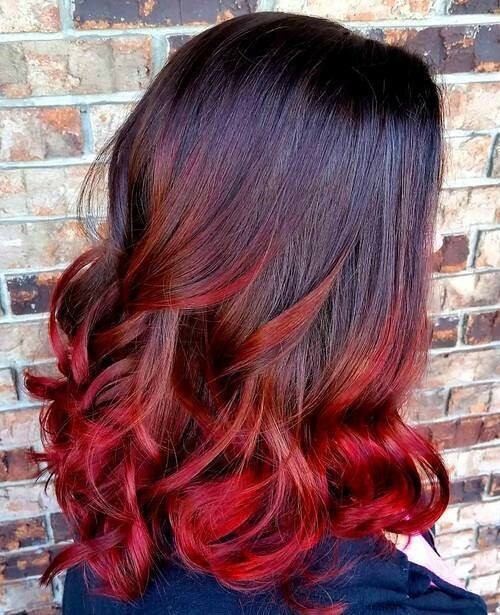 Cherry red balayage on log black hairs– cherry red balayage gives a stunning look to your curls. The cheery color is used more on the front and upper part. If your hairs are long, your stylist gets more and more hair to play with and mixes the color softly without creating visual edges. 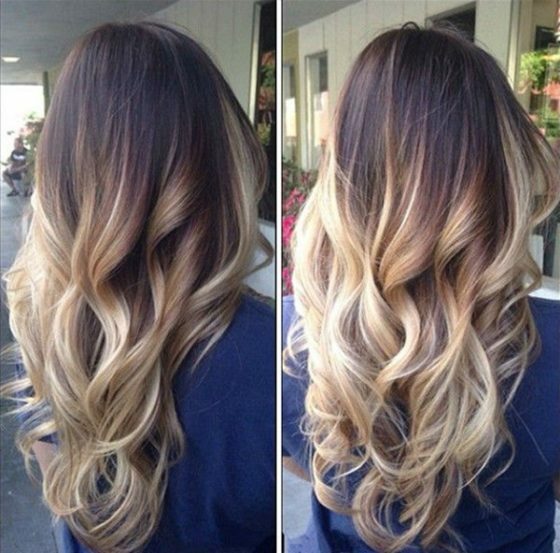 Ombre balayage on black hair– In this half of the hair length is covered fully. It is well suitable in long hairs. Even if your hair is thin highlights goes fine. The curls and beautifully colored and give the beautiful appearance. This article has listed top trending balayage black hair ideas. Try any of them according to your hair length and surprise everyone with your new look.